A new course has just begun at the Maryvale Institute in Birmingham, an international Catholic distance-learning College. It is an MA programme in Marriage and Family based on the teaching and vision of John Paul II (especially his Theology of the Body) drawn up in close collaboration with the John Paul II Institute for Marriage and Family in Rome. The new MA programme runs via distance learning on somewhat similar lines to Open University courses and promises to be a really exciting and innovative way to bring the wisdom and beauty of John Paul II’s teaching to others. The Maryvale Institute was also the home of Blessed John Newman in 1846 after his conversion when he lived there with a small community. Maryvale is also a former seminary (1794-1838) and orphanage (1851-1980) run by the Sisters of Mercy. It houses the historic and beautiful Chapel of the Sacred Heart from its seminary period and has also today houses a convent for Bridgettine sisters since 1999. The new MA pathway “seeks to develop an ‘adequate anthropology’ through the study of God’s plan for marriage and family” (see pathway No. 6 here). It is therefore interdisciplinary and could be of interest to students from a wide variety of backgrounds such as teachers, priests, youth workers, those involved in marriage care, medicine or family law. One of the many topics explored at the Theology of the Body conference over the weekend was shame. Not the moral shame we feel when we’ve done something wrong and wish we could undo or hide it; but another kind of ‘anthropological’ shame we feel as an instinctive response to those who treat us as if we were just objects. John Crosby explained how in Pope John Paul’s anthropology, we long to be recognised as persons, with an innate dignity and an inner life of our own. This is one part of his ‘personalilst’ philosophy. If someone simply looks at us (we might say stares at us), they don’t get beyond the surface sheen of our body – so we become objectified or ‘instrumentalised’ (as the jargon goes), turned into ‘instruments’ for the use of another – even if they mean no harm – and denied our own personhood and subjectivity. This happens all the time, and usually it doesn’t matter too much. It does no harm that we are only able to glance at the hundreds of people in the high street, and that we can’t engage with them enough to appreciate their inner beauty. But if someone quite consciously stares at another, looks at them without seeing them as a person, it becomes an intrusion; and this is even more the case if they are being turned through this look into a purely sexual object. Shame is our natural defence against this intrusion. This is quite distinct from the shame that comes if we are guilty of doing something wrong and desperate to hide our wrongdoing. The ‘good shame’ takes place almost at an existential level, rather than a moral one. It involves an inner withdrawal. To stop myself being turned into an object, I hide myself – physically, emotionally, psychologically and even spiritually. I don’t want to allow the ‘shameless’ look of the other to trap me and reduce me to the sheer materiality of my bodily existence. The shame I experience is much more than a feeling – it is a strategic response, a form of legitimate self-protection. The goal, ultimately, is to recover that original innocence of the Garden of Eden, where Adam and Eve could stand without shame before each other in their nakedness – truly ‘seeing’ each other in all their personal depths, delighting in their humanity. I don’t mean this literally – there are other important reasons why we are not naturists. But the idea of standing before each other without shame, and of allowing others to come before us without the need to feel this anthropological shame, is part of our redemption and a return to innocence. There are simpler words to express all this: the need for respect, acceptance, reverence, humility, gentleness, openness, sincerity, etc. Pope John Paul just wants to get behind the language to see why it really matters at the level of his personalist philosophy. If you are going to die a sudden and unexpected death, would you prefer to have a few minutes warning or to die in complete ignorance? I was really disturbed by some of the reactions to the recent report into the 2009 Air France crash, which suggested that it would be far better for someone if they had no warning at all about their impending death. You probably remember hearing about the tragedy: all 228 people aboard were killed when an Air France flight from Rio de Janeiro to Paris crashed into the Atlantic in June 2009. A preliminary report has been written two years after on the basis of information from the aircraft’s black boxes, which were only recovered last month. There is no clear conclusion about what caused the crash – it was partly to do with faulty instrumental readings. The fall took three and a half minutes. Some families of victims who said they were given information in a meeting with the agency said it was possible their loved ones went to their deaths unaware of what was happening because there was apparently no contact between the cockpit and cabin crew in the 3 1 / 2 minutes. It’s true that they may not have had to live through the horror of knowing they were falling to their deaths; and I do understand how a relative can find some consolation in knowing this. But surely there are other considerations involved here as well? It must be frightening to know that you are about to die, and I have sat with many people as they face this knowledge and try to come to terms with it – but would you really prefer not to know? I’m not just writing as a Christian believer now. Yes, as a person of faith, I would rather have a few minutes to pray, to thank God for my life, to say sorry for anything I have done wrong, to offer my life to the Lord, and generally to prepare for my death. But even if I had no faith in God or in a life after death, my impending death would still be a hugely significant horizon, and those last few minutes of life would surely take on an unimaginable significance. I wouldn’t wish for myself that I were left in ignorance. I’d want to know, in order to try to make sense of it, or simply to make the most of it, or at least not to waste it. And I wouldn’t wish for my loved ones to be denied the possibility of knowing that their end was near. I’m not romanticising death. I’m certainly not pretending that the fear isn’t very real, especially if the knowledge comes quickly and unexpectedly. I’d just rather know. Fear, sometimes, is what helps us to appreciate the significance of some great truth that lies before us; and there aren’t many truths as significant as death. A film that played with these themes very creatively was Last Night from 1998 (not the new film with Keira Knightley). Everyone knows that the world is going to end this evening at midnight, and we see how various characters in Toronto react. Their decisions about how to spend the last few hours of their life generally reflect the concerns and priorities of the life they have already lived, the life they have made. Their fundamental intentions are clarified and crystalised in these last moments. 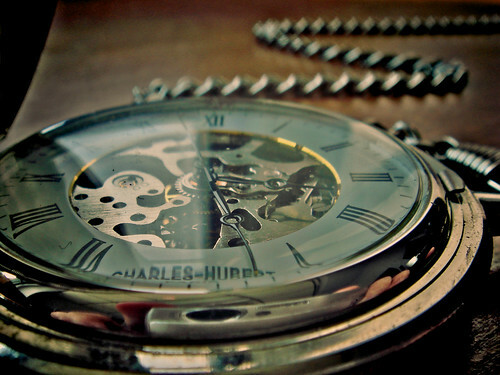 On the other hand, knowing that time is so short, it gives them a chance to make something different of their life. Not so much a moral conversion (although that is also possible), but a reorientation, a new level of authenticity, a sort of redemption – even if the choices some of them made were thoroughly depressing. It’s well worth seeing. If you are looking for online resources in bioethics, here are a couple of useful sites (following on from my recent post about the distortion of language in bioethical reporting). The United States Conference of Catholic Bishops has a bioethics page with links to various articles and downloadable pamphlets. The topics include: stem cell research, cloning, genetic enhancement, IVF, eugenics, human dignity, reproductive technology, etc. 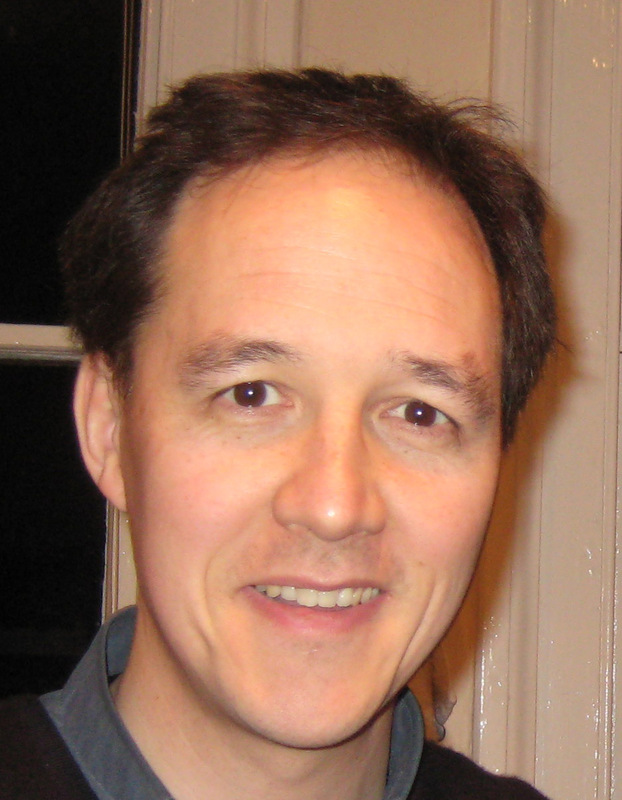 The Anscombe Bioethics Centre is the main Christian bioethics institute in Britain. The resources are here (articles, publications, newsletters, etc); and there is a big list of articles and links here at their old Linacre Centre site (I’m not sure if all these articles have been moved over yet). My name is Rebecca Taylor. I am a clinical laboratory specialist in molecular biology, and more importantly, a practicing Catholic. I have been writing and speaking about Catholicism and biotechnology for five years. I have been interviewed on EWTN radio on topics from stem cell research and cloning to voting pro-life. All of this began several years ago when I was discussing stem cells and cloning with an older gentleman at a family party. He was very knowledgeable about biotechnology, but was surprised about many little-known and quite misleading facts. He asked where I had gathered those facts, and I told him I was reading every pertinent scientific reference I could get my hands on. He looked me in the eye and said, “Young lady, it is not good enough to read, you must do something!” I found out later he was a former U.S. congressman from California. I decided to start marymeetsdolly.com to try and provide Catholics with solid, pertinent resources and clear, plain commentary so they could be more conversant with the issues proffered by the newest of the “brave new world” movements. With this website, I hope to take what I have learned (through months of studying the technologies and ethical stances involved) and explain the advances and the issues in terms the person-on-the-street can understand. With the help of my father, a theologian, I hope to juxtapose and illuminate today’s genetic research and engineering with the Church’s teachings on the sanctity of human life. On the question of language, see her post about whether our understanding of when human life begins is a matter of belief or of knowledge. I’ve just seen the Facebook film, The Social Network. It works. It shouldn’t, because we all know the story: guy invents Facebook, transforms human self-understanding, and makes a few billion in the process. But it does. Partly because the lesser known sub-plot is turned into the main narrative arc: did he steal the idea and dump on his friends? And partly because the heart of the story, the genesis of Facebook, is such a significant moment for our culture (and perhaps for human history), that it would mesmerise a cinema audience no matter how badly filmed. It’s Stanley Kubrick trying to film the emergence of human consciousness at the beginning of 2001: A Space Odyssey. It’s more a screenplay than a film. I had to concentrate so hard on the dialogue and the ideas that I hardly took in the visuals. This is classic Aaron Sorkin, whose West Wing scripts have more words per minute and ideas per episode than anything else on TV in recent years. 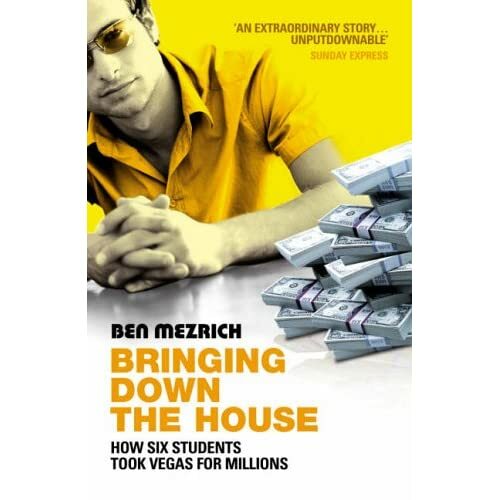 I’m also a fan of Ben Mezrich, who wrote the novel on which the screenplay is based. I read his Bringing Down the House a few years ago, a great holiday read about how a team of MIT geeks took their card-counting skills to Vegas and beat the casinos. And it’s true. Anyway. Go and see the film. It’s a great story and a great cast, directed with unobtrusive style by David Fincher. And I don’t think I’m exaggerating when I say that it captures one of those rare historical moments, that we have actually lived through, when our understanding of what it is to be human shifts quite significantly. It’s too easy to talk about geography (“First we lived on farms, then we lived in cities; now we live on the internet”). We could have ‘lived on the internet’, even with the interactivity of Web 2.0, without it changing our understanding of ourselves. The same people, but with more information and quicker methods of exchanging it. Facebook has turned us inside out. We used to learn and think and search in order to be more authentically or more happily ourselves. We learnt in order to live. Now we create semi-virtual selves which can exist in a semi-virtual world where others are learning and thinking and searching. We live in order to connect. But even this doesn’t capture it properly, because people have been connecting for millennia, and at least since EM Forster’s Howards End. With Facebook we don’t just want to connect, we want to actually become that connectivity. We want to become the sum total of those friends, messages, events, applications, requests, reminders, notifications and feeds. 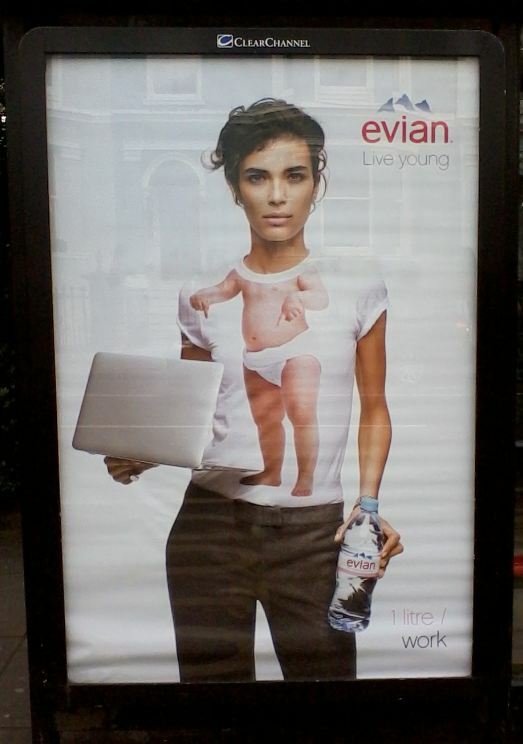 Personhood has changed. Two thousand years ago, through the incarnation, the Word became flesh. In our time, through the internet, the flesh became Facebook. Time to switch off the computer. I’m not going to debrief about my spiritual life online, but I can share just one experience that forms part of the ritual of going on retreat each year that gave me pause for thought: emptying the pockets. I arrived in my room at the retreat house, put the suitcase on the bed, and without much reflection started to empty my trouser pockets onto the shelf in the wardrobe, knowing I wouldn’t be needing all this stuff for the next week. And what was this ‘stuff’? Car keys, house keys, room keys, cupboard keys; mobile phone; wallet (cash, credit card, debit card, driving licence, celebret, Marks and Spencer vouchers, Oyster card); electronic organiser (diary, contacts, to do list, memos – yes, I am dinosaur enough to still have a Palm PDA; much better designed software, by the way, than an iPhone); loose change. All of this, I realised perhaps for the first time, I have on me all the time, in three trouser pockets – ‘on my person’ as the phrase goes. All of this, normally, I’m afraid to leave the house without it. It’s part of who I am, and it’s hugely symbolic: I ‘am’ the possibility of connecting, communicating, calling, remembering, driving, travelling, entering, opening, unlocking, spending, borrowing, organising, meeting, doing. And all of this, for just a few days, I could put in a cupboard. It was so strange and liberating to go for a walk each morning without it all; not just into the garden, but out into the surrounding streets and the ‘real world’.